Before 1800 willets nested along the entire Atlantic coast, along salt marshes, marshy ponds, and the banks of tidal creeks, as well as in pastures and other dry uplands near water. Hunters and egg-gatherers, however, reduced their numbers so drastically that by 1900 they were gone between Nova Scotia and New Jersey. 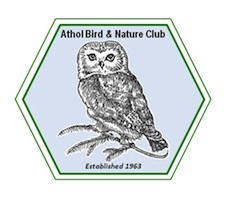 Willets have made a come-back, however, and on Wednesday, September 11at 7 p.m. the Athol Bird and Nature Club will present “Willets at the Shore” at the Millers River Environmental Center, 100 Main St., Athol. The program is free and open to the public. The speaker will be Ashley Green, a field biologist whose willet research was conducted on the Delaware Bayshore in southern New Jersey, where the team monitored nests, caught and banded birds, and deployed and recovered geolocators to discover where this population is wintering. Her program will explain the methods used to study these remarkable birds, including the difficulties in trying to recapture individuals, what can be interpreted from the geolocator data, and other observations of the flora and fauna of a salt marsh. Green has also worked on other research projects, primarily with birds. Her projects included five years at Olympic National Park, WA with spotted owls, two seasons as an interpretive naturalist with the Cape May Bird Observatory, and a season in Costa Rica studying the wintering habits of golden-winged warblers.